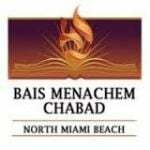 The Bais Menachem NMB Community Center will provide families with a central address in North Miami Beach they can turn to for support and guidance in connecting to their heritage and enriching their Jewish lives. This project will provide a permanent home that will enable Chabad to continue building on what it has accomplished over the last 20 years and to more effectively carry out its mission. The proposed new facilities will enable Bais Menachem NMB to expand its Jewish activities in a new, enriching and stimulating environment. At one point or another, Bais Menachem NMB will touch your life... Please consider making a contribution to this worthwile project; Your support will help build the future of your community.